Various shape models and 3D renderings of comet 67P can be seen at the websites maintained by Matthias Malmer and Greg Frieger. In particular, the Frieger site allows different shape models to be compared for 67P, and also shows the shape models for several other comets. Very soon, the MiARD project will have a new higher resolution shape model which will be displayed on this website, and probably also made available to others. 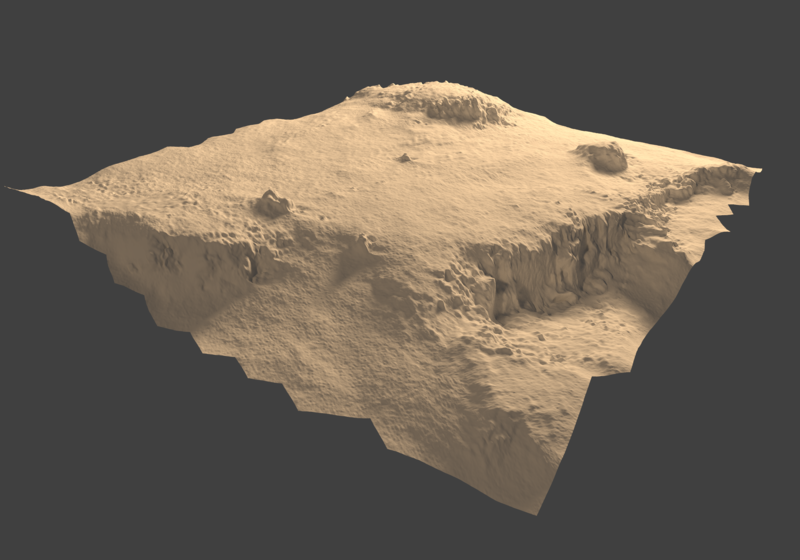 The Laboratoire d’Astrophysique de Marseille, one of the partners in the MiARD project, have just released this rendering of their digital terrain model of the Agilkia area of the comet where the Philae lander first touched down. The name Agilkia was selected by the European Space Agency from suggestions by the public, and is taken from the name of an island in the Nile river in Egypt.